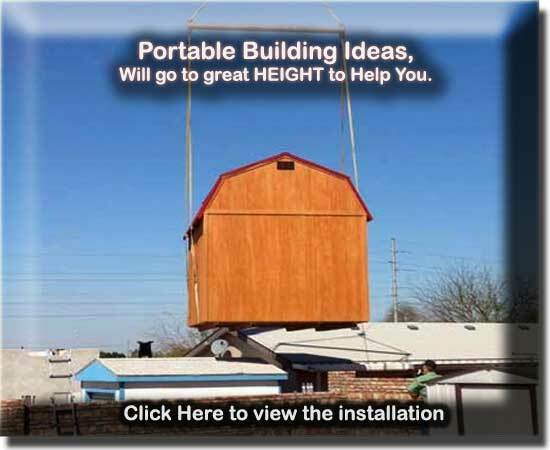 Portable Building Ideas will go to great lengths and HEIGHTS to help deliver your new storage building, even if we have to help you LIFT it into place!!! 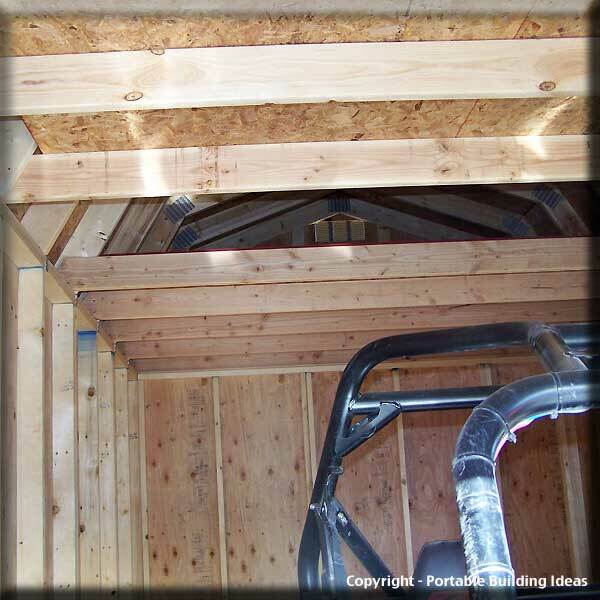 Do you need additional storage space for all those things we seem to collect. 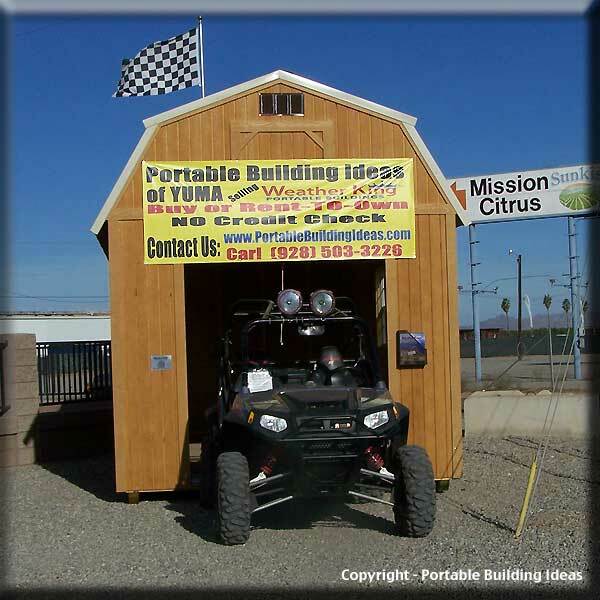 Are you needing an additional space for an office or additional workshop and you aren't sure how to get it past some obstacles? 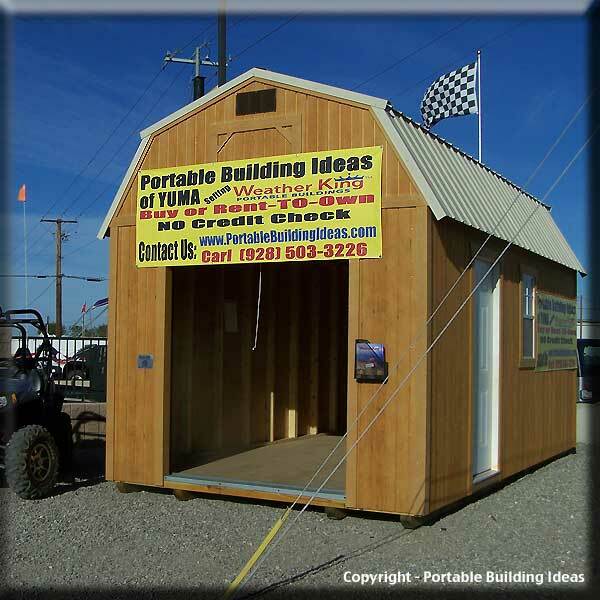 Please don't hesitate to contact Portable Building Ideas. 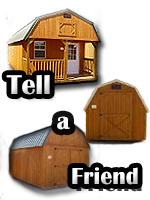 We have helped many of our customers find a way to have their new workshop, office or storage shed delivered and installed just where you want it. Our staff and subcontractors will go to great heights to assist you. 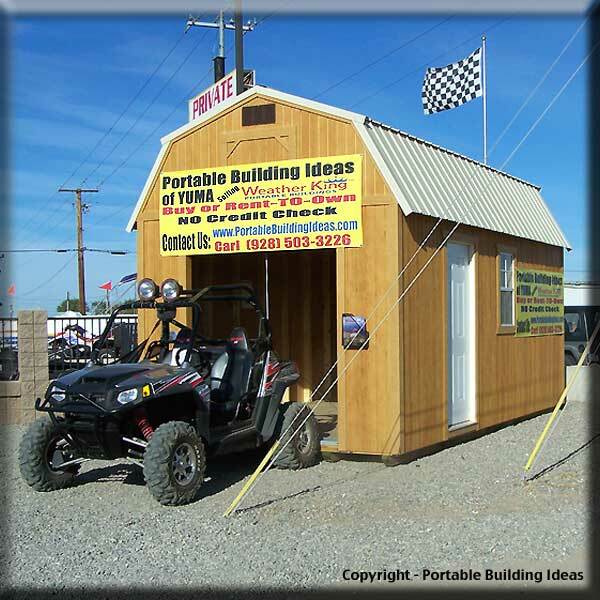 Portable Building Ideas offers much more than a new storage building, we offer the complete service you will need to assist you with the installation. 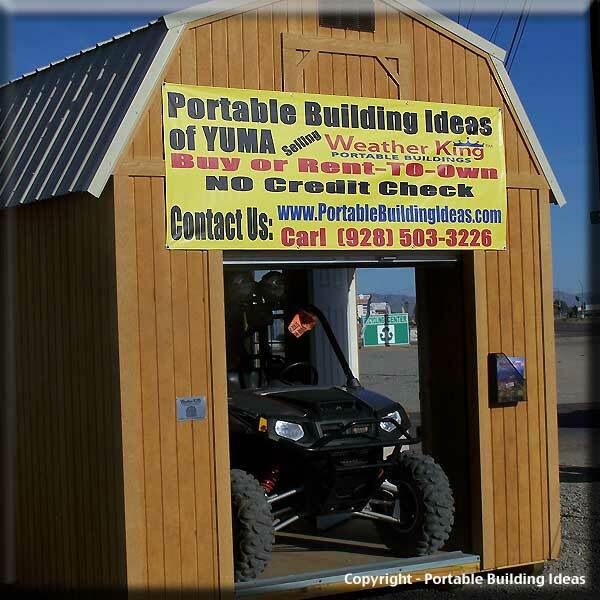 We will arrange for all the necessary equipment and personnel to help create a professional installation of your new portable building. 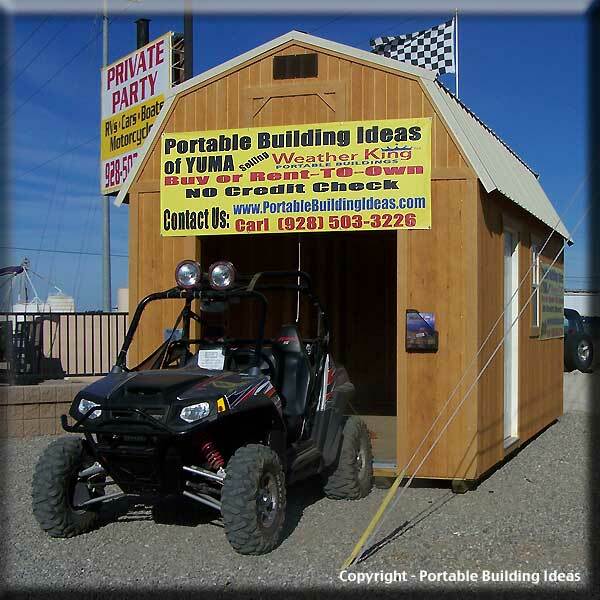 If you have a need for an additional Room or Storage, Portable Building Ideas has a solution for YOU. 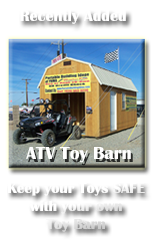 Contact Us for assistance and pricing. 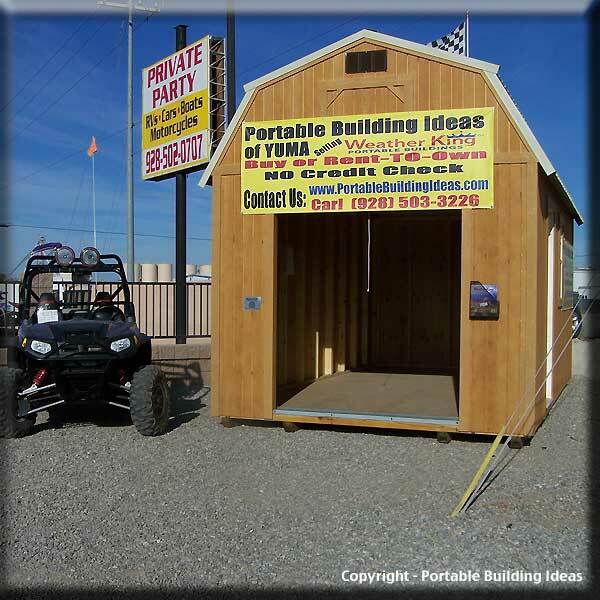 At Portable Building Ideas we intend for you to receive a quality product, which willÝprovide long and satisfying service. 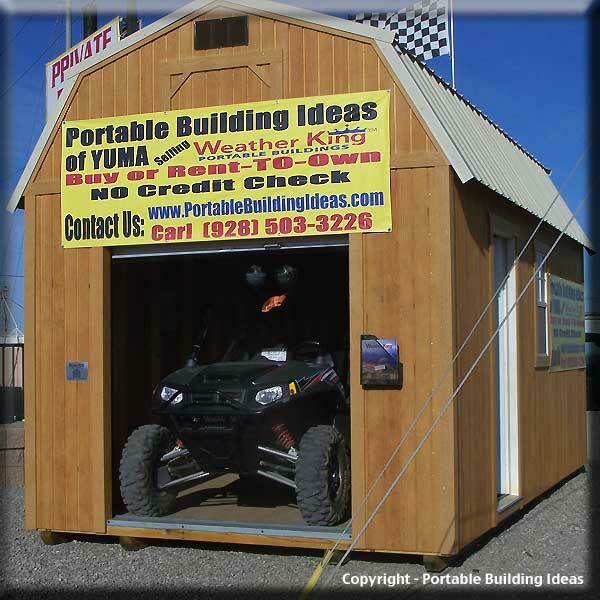 Weather King Portable Buildings was established as an alternative to mini-warehousing.Ý Our no strings plan allows you to have your own storage facility for your backyard, business or even a work at Home office when and where you need it. 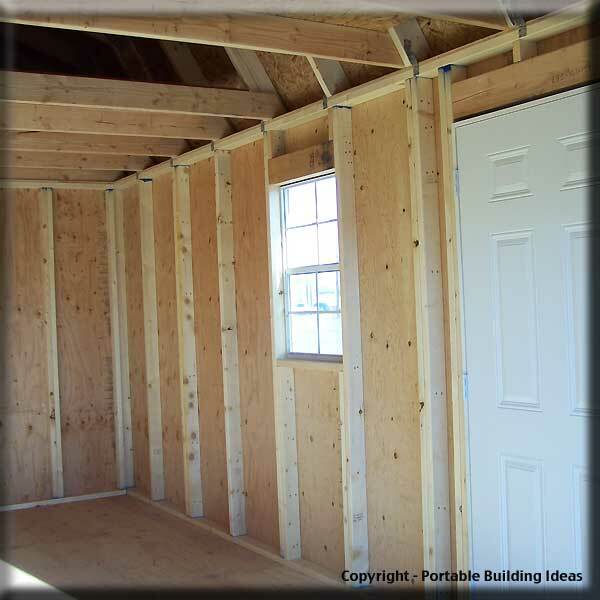 The low monthly rental rates are comparable to mini-warehousing rates per square foot.Ý You are not required to fill out a credit application, nor are you required to keep your buildings. 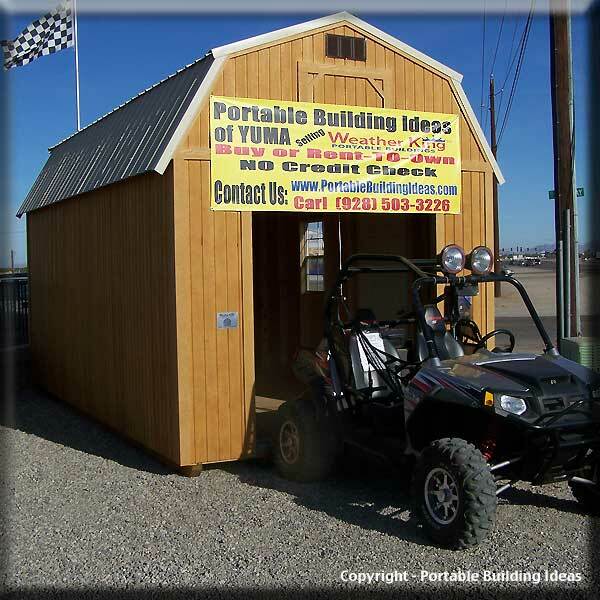 Please call us at (928) 503-3226 or use our Contact us page for any questions you might have so we can assist you with your storage problems.